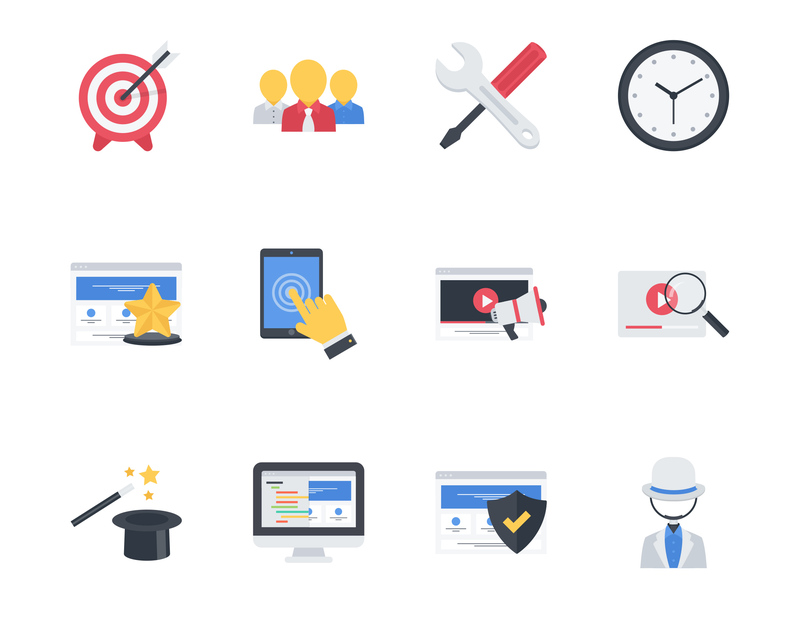 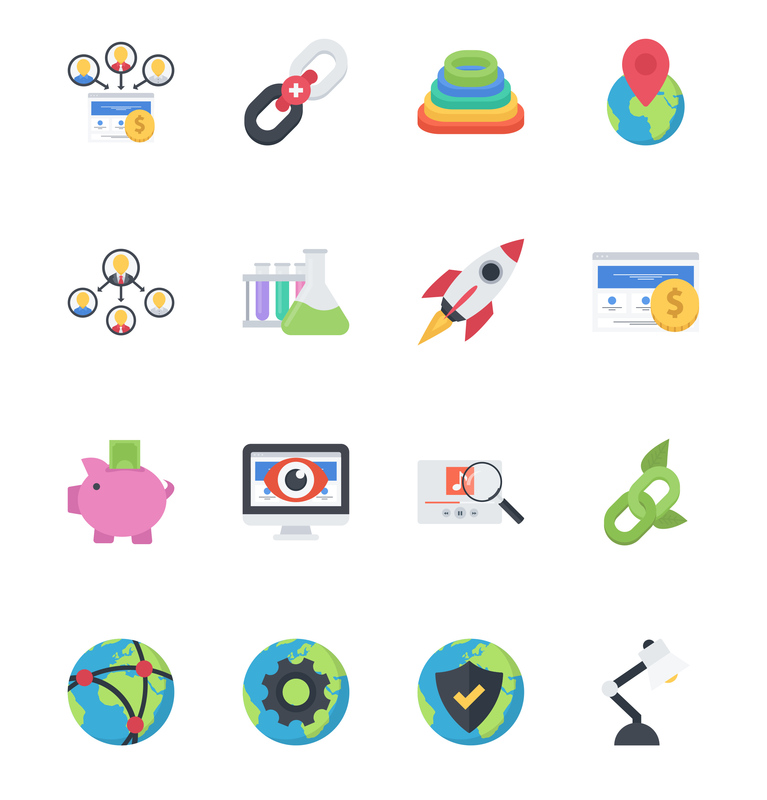 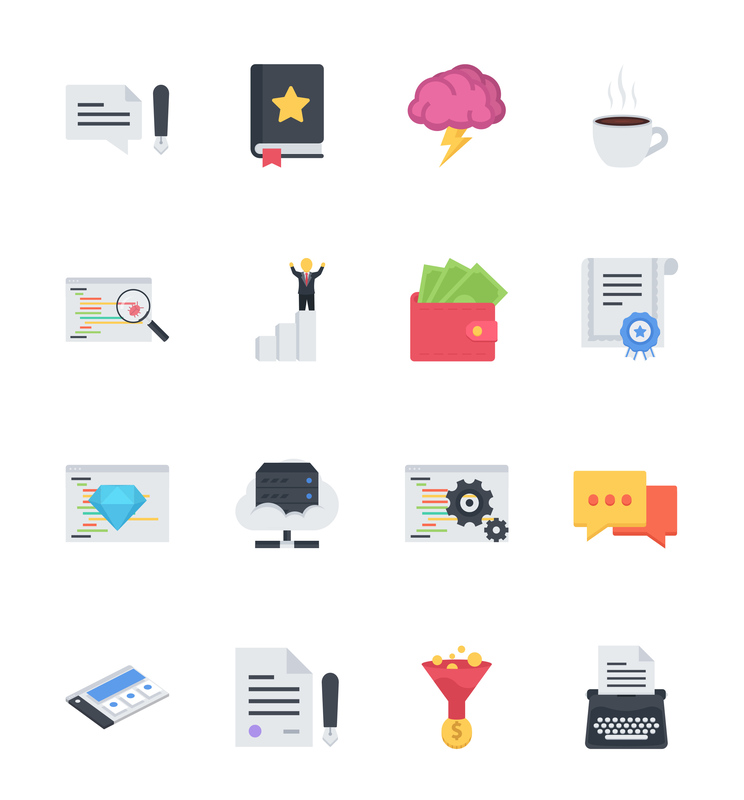 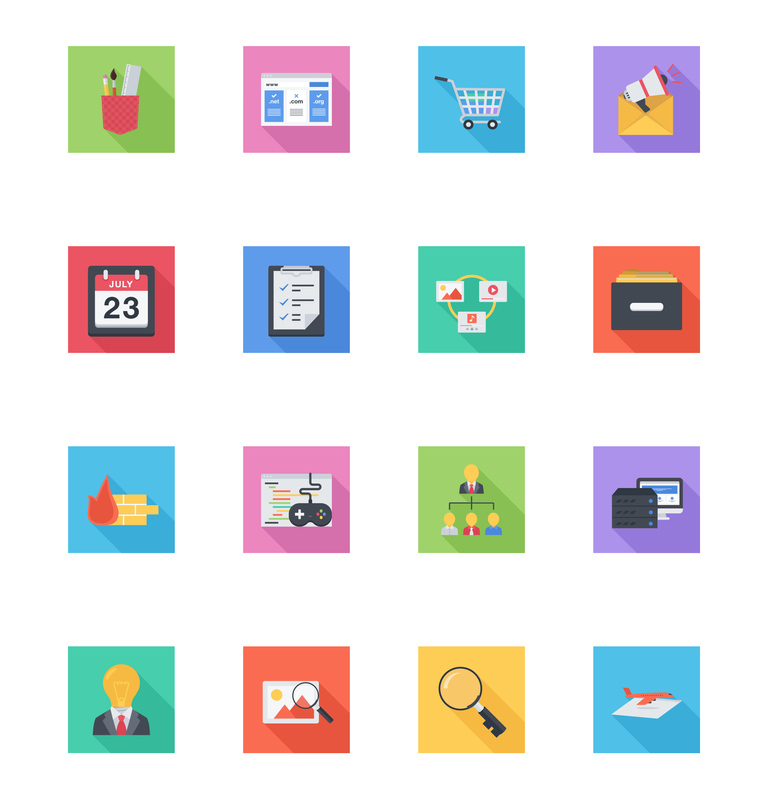 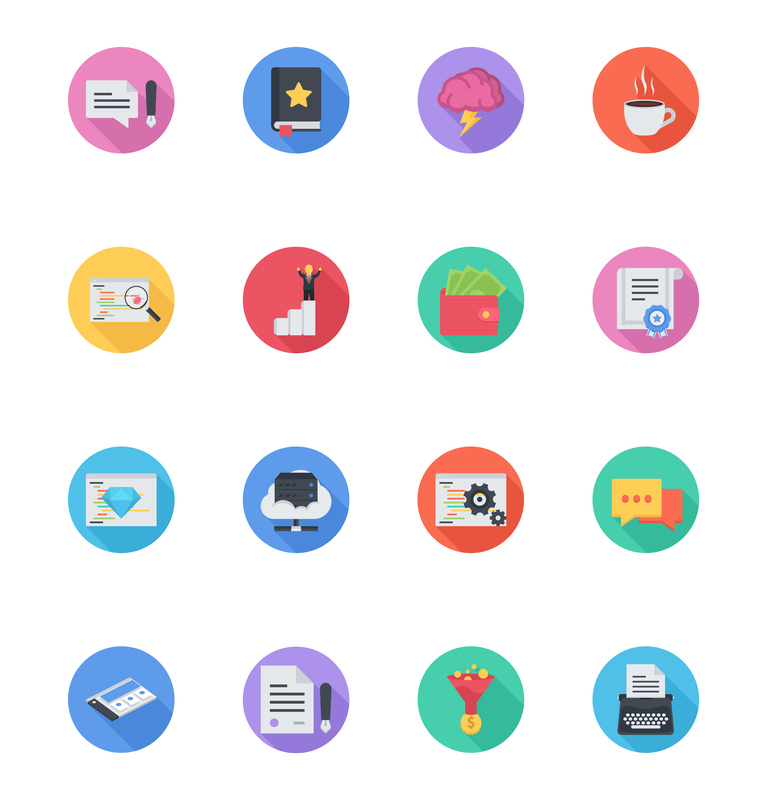 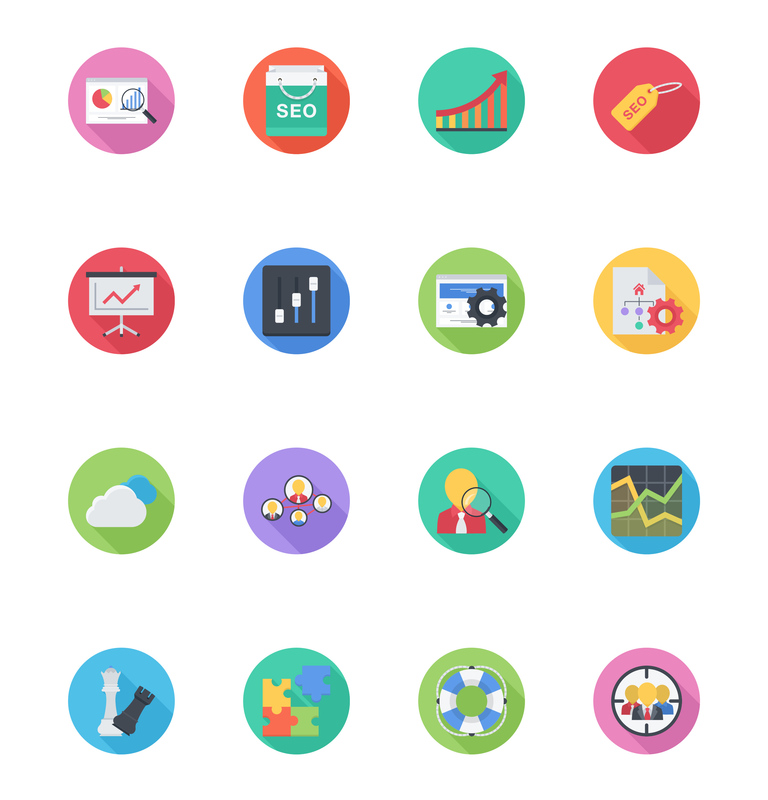 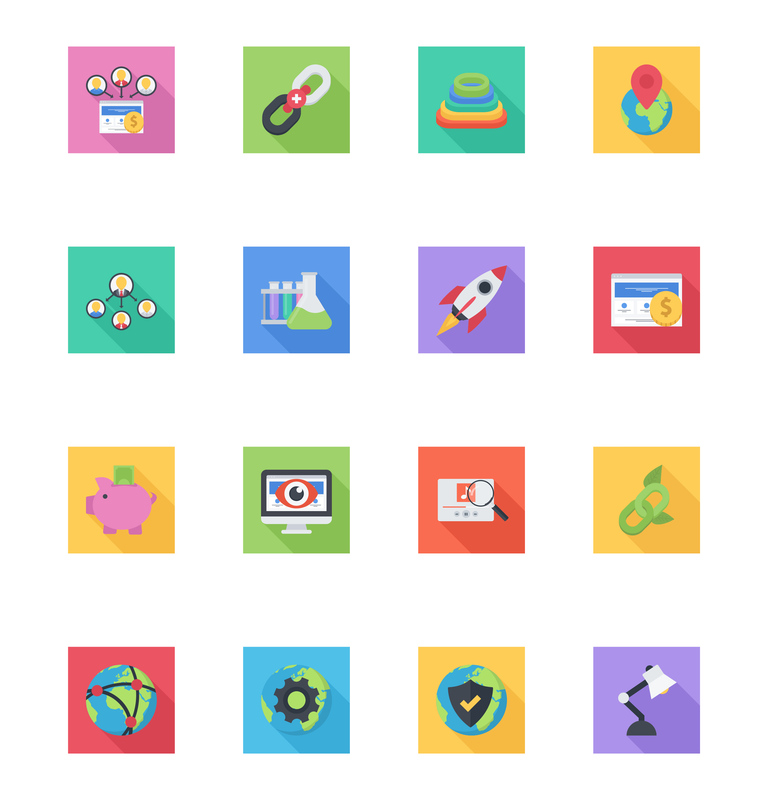 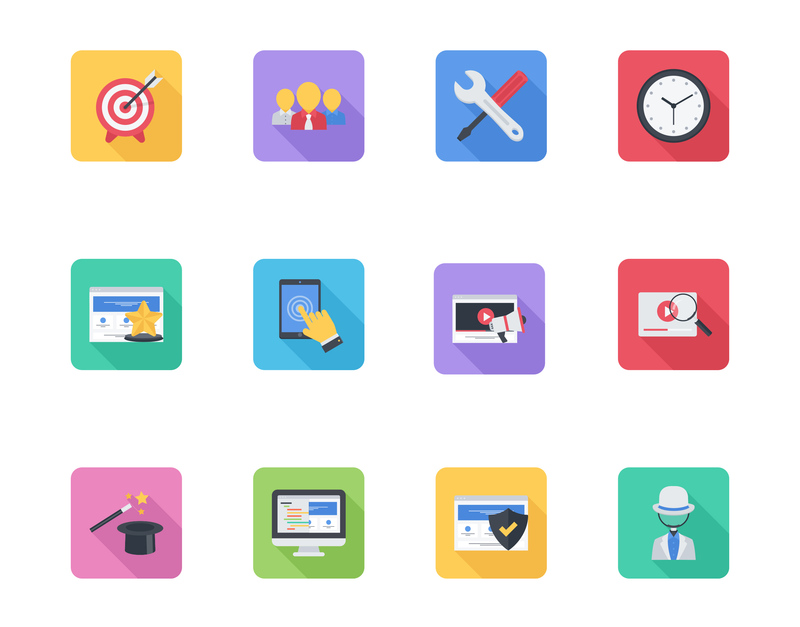 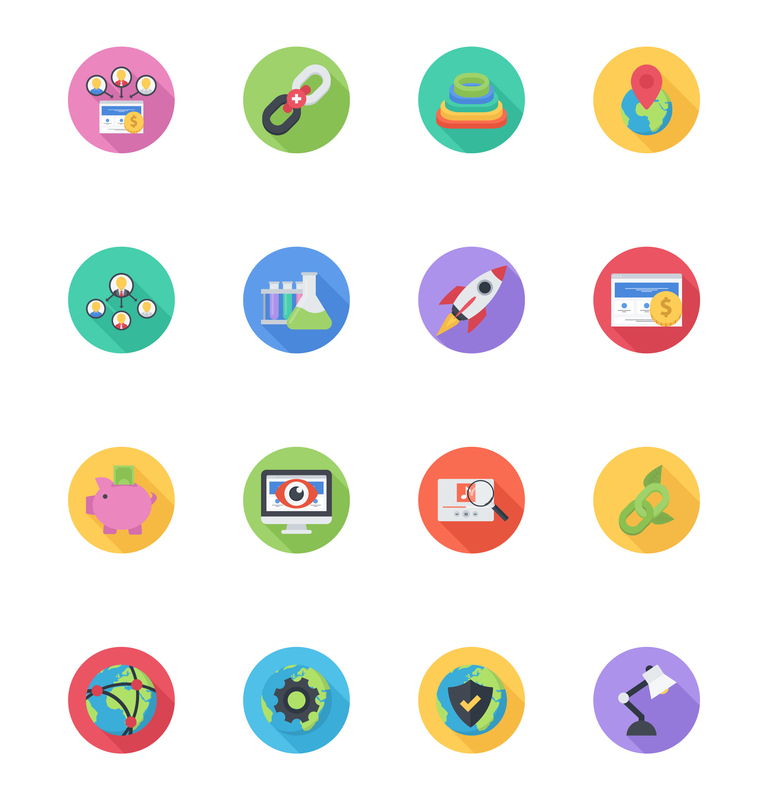 100 flat style icons.  Very detailed, icons look good on any screen size. 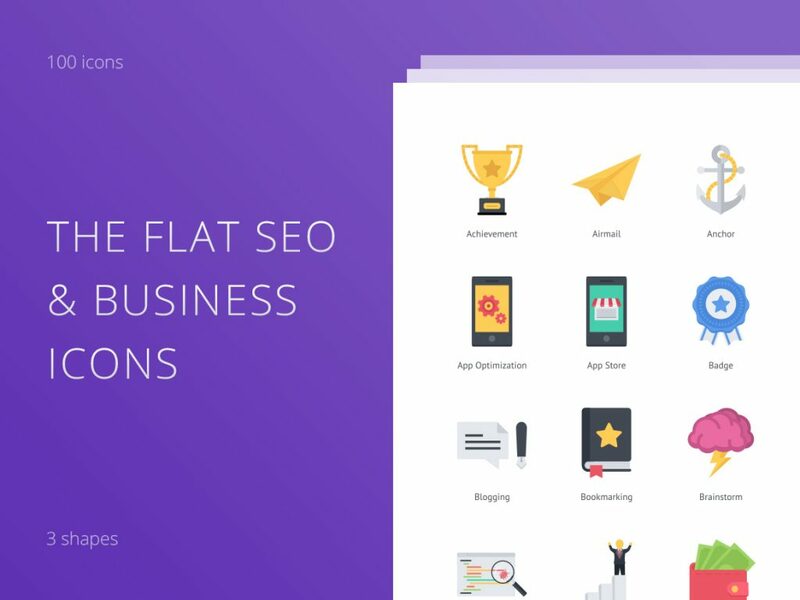 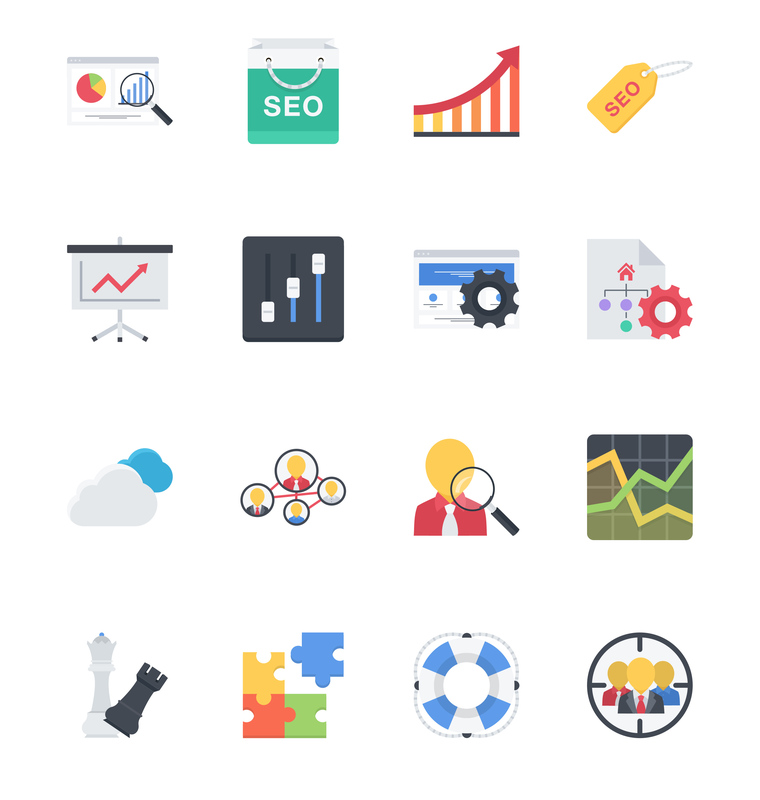 Highly specialized SEO and business icons. Additionally to the standard icons, this set is made in a long shadow style using three shapes – a circle, a square with rounded corners and a square. 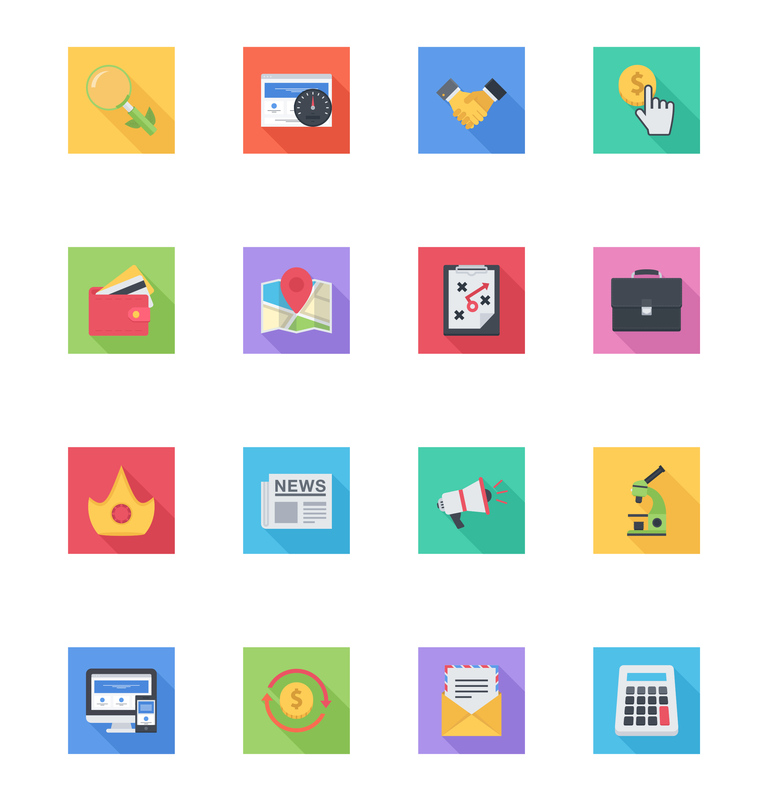 100 flat icons, 3 shapes for long shadow versions. 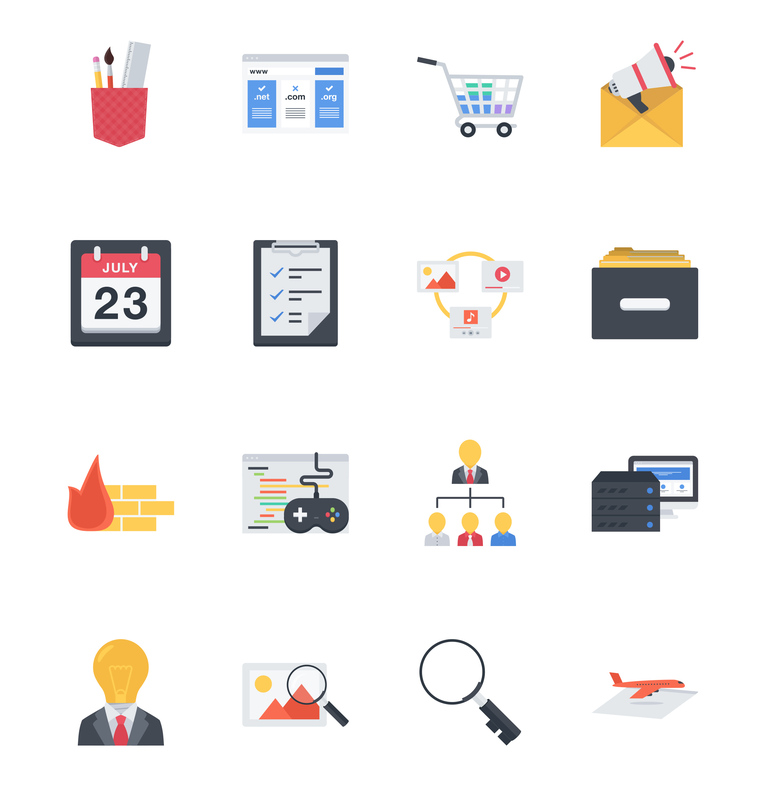 Files: EPS, SVG and PNG (64×64, 128×128, 256×256, 512×512).